New leaders GB Kitchens proved too strong for Market Rasen Town with a 2-0 win at rase park on Saturday. 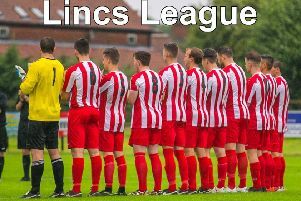 The hosts went into the East Lincs Combination match with just one defeat in four, but were undine by goals from Jacob Jamieson and Ben Smith as Kitchens leapfrogged Barnoldby into top spot in Division Three. Rasen dropped to sixth after their third league defeat of the season, but remained within two points of third-placed North Somercotes United Reserves. On Saturday, Town host free-scoring Marsh Rovers who have found the net 19 times in their last five matches, but have also conceded 14 in the same run. Kick-off at Rase Park is 2pm.